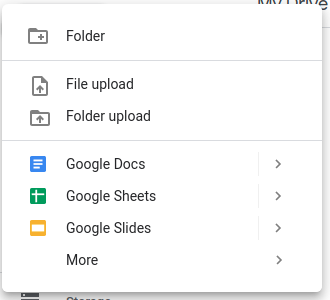 Below goes over the process of exporting public channel content and uploading it to the projects Google Drive. On the desktop, click on the workspace name in the top let, hover over "Administration" and click on "Workspace Settings". A new window in your web browser will open. Click on "Import/Export Data" at the top of the page. Click on the "Export" tab and select the date range you'd like the export to cover and click on "Start Export". For the monthly export task in Insightly, select "Specific Date Range" and make sure you cover 40 days prior. You'll receive a notification confirming that the export is being generated and that it is ready to download. Wait for the email to show up in the info inbox. 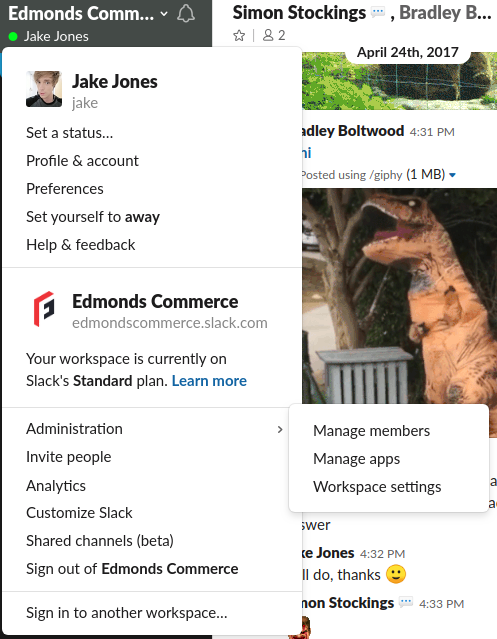 You can also check your "Slackbot" channel in Slack to see if you get the notification there as well. 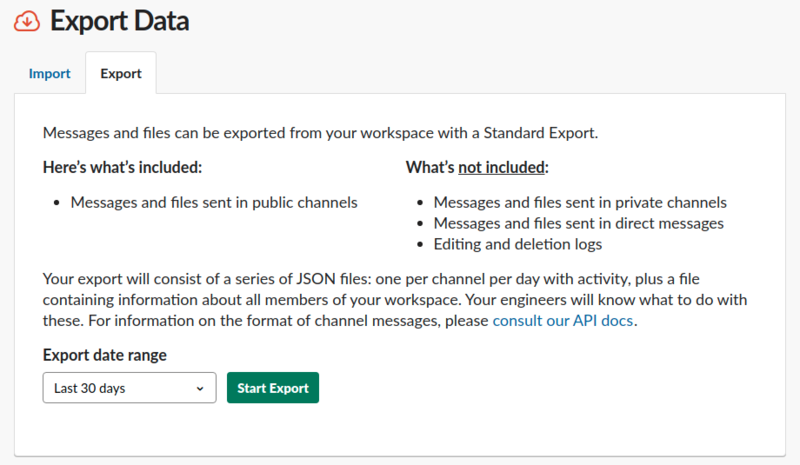 When it's ready, head to the "Export Data" page, either via the Slack notification or email, and scroll down to "Past Exports". Click on "Ready for download" on the right to start downloading the backup. Once downloaded, head over to the "Slack Standard Exports" folder in the projects Google Drive. Click on "New" in the top right and select "Upload File". 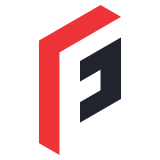 Upload the file form where you downloaded it from. Now that it's uploaded, simply give it a shorter name stating the date range of the backup. Finally, send an update to the #general channel in Slack to inform Joseph that the monthly backup has taken place.